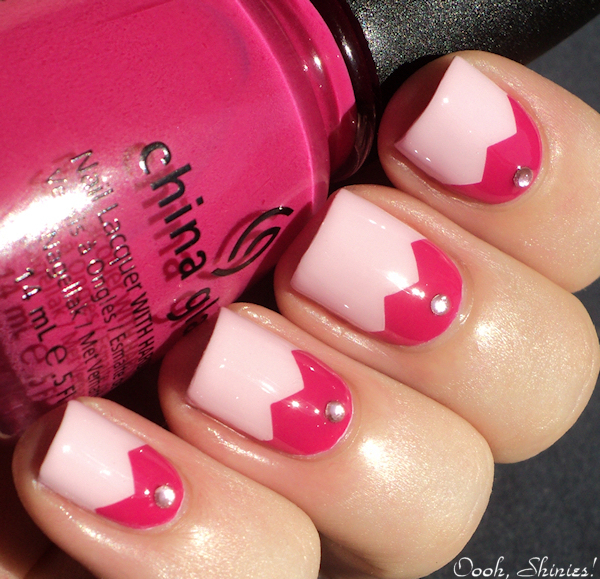 China Glaze Something Sweet with China Glaze Fuchsia Fanatic. I haven't given an update on the kittens in a while now, shame on me! 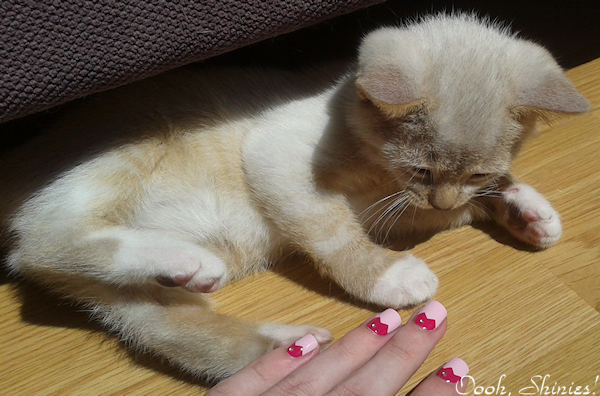 So expect some massive kittenspam somewhere in the coming days :) But I just put all the pics that I made with my phone to my pc, and I forgot I had 2 of them help me show this mani! The 2 you see here are also the oldest and tomorrow they're getting their first shots, then next week they can go up for adoption already. Time sure flew by! As you might have seen on my Instagram (ooohshinies), this one likes to slap polish! 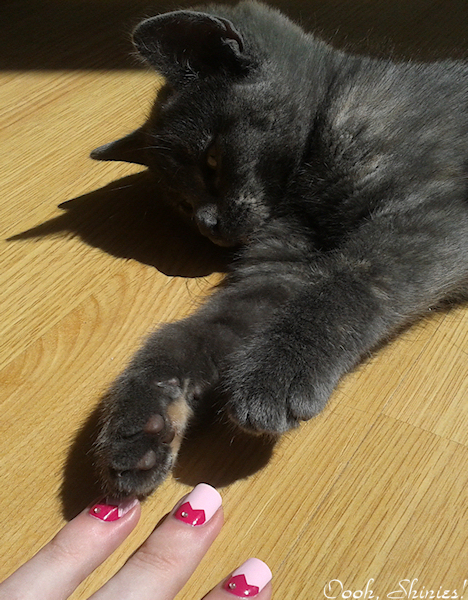 The little lady below has huge paws ♥ but the angle is making her and her cute paws look bigger than she really is though!